Vietnam Airlines has announced record profits of 2,800 billion Vietnamese dong (nearly US$125m) for 2017, exceeding all its targets for the year. The airline has attributed the excellent results to taking advantage of Vietnam’s stable macroeconomic development and consistent tourism growth, and adopting flexible solutions to deal with challenges. In 2017, Vietnam Airlines and its member airlines (including Jetstar Pacific and VASCO) provided nearly 180,000 safe flights and transported 26.5 million customers, an increase of 6.7 percent compared to 2016. The volume of air freight transportation was estimated at 343,000 tons, up 19 per cent compared to the previous year. Its average domestic market share reached 60 per cent, and its international market share reached 32.3 per cent. 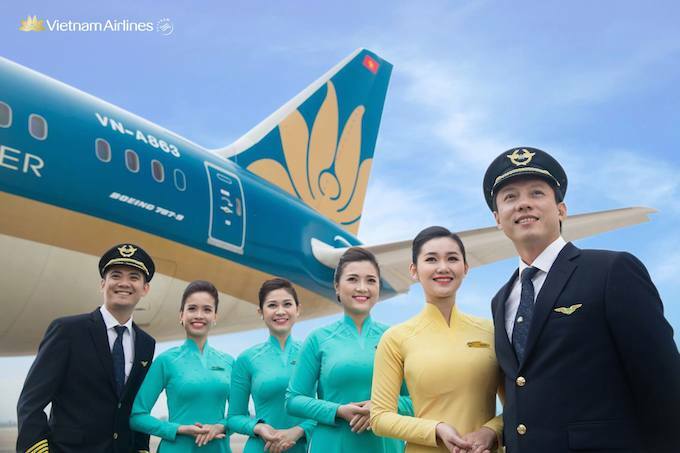 The total consolidated revenue of Vietnam Airlines and its subsidiaries was estimated at VND88,400 billion; its consolidated pre-tax profit reached a record of over VND2,800 billion, a growth of 72 per cent compared to the planned target and a year-on-year increase of 8.3 per cent. These impressive results were driven by the airline’s development of a modern fleet, extensive flight networks, continuous improvement of its services, strengthening of bilateral and multilateral cooperation, and commercial promotion. In January 2017, more than 1.2 billion HVN shares of Vietnam Airlines were transacted on UpCOM, as the airline became one of the country’s top large-scale public companies. By the end of 2017, HVN reached a high of VND 42,000 per share, up 60 per cent on its starting price. Vietnam Airlines expects to have its shares listed on Ho Chi Minh City Stock Exchange (HOSE) in the second quarter of 2018. Vietnam Airlines exceeded its OTP target in 2017, especially departure OTP, which reached an average rate of over 90 per cent. Aircraft operational readiness rates also reached an average of 94 per cent. Vietnam Airlines’ fleet development continued in 2017 with the delivery of four Airbus A350-900 XWBs and a Boeing 787-9 Dreamliner, increasing the total number of these aircraft to 10 and 11 respectively. The new wide-body aircraft have been operated on the Hanoi-HCMC route and important international flight routes to the UK, Europe, Northeast Asia and Australia, contributing to Vietnam Airlines’ continued improvement of its international 4 star-rated service quality. The carrier maintained its status as a 4-star Skytrax international airline for a second consecutive year, and also launched its 24/7 Customer Service Centres, providing quality service with a high level of personalisation. In the period 1995-2017, Vietnam Airlines served more than 200 million passengers. The total revenue reached over VND777,000 billion in 22 years, with an average annual growth rate of 15.62 per cent; a total pre-tax profit of approximately VND18,000 billion. Turning to 2018, the international air transport market is expected to grow rapidly, with Vietnam’s domestic market specifically predicted to grow at a relatively high rate. Vietnam Airlines will continue to focus on proactively enabling its expansion and promoting its partnerships with major international airlines while ensuring maximum security and flight safety; applying the latest technology and improving its aircraft maintenance capacity. Fleet development and flight network expansion are Vietnam Airlines’ strategic priorities in 2018, with plans to buy new Airbus A350-900 and A321neo aircraft, as well as complete its fleet development plan for the 2021-2025 period with a vision towards 2030. The airline will also continue its research on a plan to open a direct flight to the United States.